On the windswept plateaus of Inner Asia, in a huge swathe encompassing Afghanistan, India's Ladakh, parts of Sinkiang, northern Tibet, and Mongolia, nomadic herdspeople raise great flocks of sheep, goats, and yak. The altitude, over 14,000 feet (4,300 meters), precludes cultivation; herding is the only possible economic use of a bleakly inhospitable environment. The bitter cold of winter, plummeting to minus 40 degrees Fahrenheit and below and aggravated by windchill, provokes the growth of a warm, soft undercoat of downy fibers in many of the region's mammals-goats, camels, yak, even dogs, as well as wild animals like the ibex and the Tibetan antelope or chiru. Known in the Northern languages of urdu and Kashmiri as pashm, this fiber is collected in commercial quantities from the herdspeople's goats. (Some authorities have identified the breed of pashmproducing goats as Capra hircus. This name, however, applies to all domesticated goats; scientific taxonomy makes no distinction between different breeds of domesticated animals.) The double-humped Bactrian camel also produces a less fine grade ("camel hair"). When the term pashm is used without qualification, it is goats' pashm that is meant. Pashm was and is the raw material for the shawl industry of Kashmir. The fabric woven from pashm is properly called pashmina. When the British in India became aware of the Kashmir shawl, however, some of them, ignorant of the fiber's origin, adopted the term "cashmere" to refer to both fiber and fabric, and in the West this is the term that has stuck. The transformation of a mass of greasy, matted fibers into a patterned fabric of superlative softness and warmth involved a whole complex set of procedures. To begin with, the raw material had to be cleaned and the coarse hairs from the animal's outer coat removed. These processes and the spinning of the thread were (and continue to be) done by Kashmiri women in their homes, with the simplest of tools like combs, reels, and hand-operated spinning-wheels. The classic means of decorating shawl-goods was by the twill-tapestry technique, unique to the manufacture of this fabric: a twill weave using, instead of a shuttle, a multiplicity of small bobbins laden with different colors of yarn to incorporate the design into the weave. Designers drew and colored the pattern, and a scribe translated it into a shorthand form called talim. Dyers tinted the yarn in the required colors with vegetable dyes, and other specialists made and dressed the warp and put it to the loom. Only then did the weaver put his hand to it. Two weavers sat at each loom, manipulating the bobbins in response to the instructions of the master weaver reading aloud from the talim. Shawls were woven in pairs, and an elaborate design could be months or even years in the making. In the nineteenth century, as patterns became more complex, shawls were often woven in numerous small pieces, the skill of the darner who joined them together being such that the seams were practically invisible and the whole looked and felt like a single piece of material. Another development of the nineteenth century was the substitution of embroidery on plain pashmina fabric for tapestry work. At the start of the twenty-first century the skills of the twill-tapestry weaver have all but disappeared, but perhaps more embroidered pashmina shawls are being produced in Kashmir than ever before, in response to demand from the prosperous Indian middle class. Simultaneously, efforts are under way to revive the art of twill-tapestry, as well as to diversify the product, and a small number of superlative pieces are being created in both traditional and innovative techniques and designs. From the mid-eighteenth century till about 1870, the shawl industry was heavily taxed and provided more revenue for successive governments of Kashmir than all other sources together. This burden of taxation fell most heavily on the weavers, the exploitation of whom reached an extent that could be described almost as serfdom. The pashmina shawl of Kashmir has always been a luxury item; more than that, its beauty and fineness made it an integral part of the royal and aristocratic lifestyle of the Indo-Iranian world in the eighteenth and first half of the nineteenth centuries. It was exported as far afield as Russia, Armenia, Iran, Turkey, Egypt, and Yemen, long before it took the West by storm. The term "shawl" (originally shal) was not at that time confined to shoulder mantles, and the fabric often took the form of jamawar, or gown-pieces, designed to be made up into tailored clothes. There was indeed an extraordinary variety of "shawl-goods," including turbans, waist-girdles, saddle-cloths for horses and elephants, curtains, carpets, and tomb-coverings. It was only in India that the long shawl was worn-by men, not women-as a shoulder-mantle. Elsewhere in Asia, men wore turbans or sashes of shawl fabric; or coats (jama, qaba, choga) tailored from jamawar. Shawls for women were square, and designed to be worn folded into a triangle around the shoulders or waist. It was only when they became a part of high fashion in Europe, especially France, and the United States of America, between approximately 1790 and 1870, that long shawls, as well as square ones, were appropriated to women's wear. It is the chiru (Pantholops hodgsoni) that is the source of toosh (occasionally known as tus, also shahtoosh), a variety of pashm even more delicate than that from the goat, from which the famous "ring-shawls" were made. It is perhaps the finest animal material that has ever been put to the loom, the mean diameter of the fibers being in the region of 9 to 12 microns-about three-quarters that of cashmere. Sadly, no method has been found of harvesting the fiber from the living animal. Until about the middle of the twentieth century, the slaughter of chiru for pashm was on a sustainable basis, and herds numbering tens of thousands were reported by travelers in Tibet. The opening up of Tibet after about 1960 and the emergence of the shahtoosh shawl as a high-fashion luxury item in the West, changed all that; and in the last 40 years there has been wholesale slaughter, an estimated 20,000 chiru being shot or trapped every year, while in 2000 the surviving population was estimated at a mere 75,000, down from perhaps a million in mid-century. In the twenty-first century, the chiru is recognized as being in imminent danger of extinction, and is classified under Appendix I of the Convention on International Trade in Endangered Species (CITES). Although trade in the animal and its products is accordingly banned everywhere in the world, it is believed that the slaughter continues, and that toosh is still being processed in Kashmir into shawls that are sold illegally in India and the West. Until about 150 years ago, the skills necessary to process pashm into a fabric that would realize its potential of delicacy as well as warmth existed only in Kashmir. 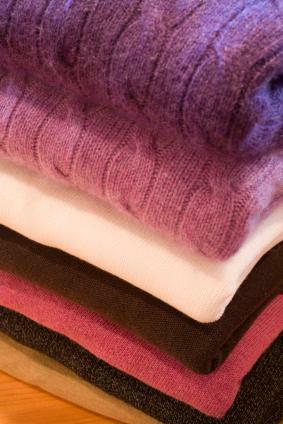 The nineteenth century saw the beginning of a demand for pashm-under the appellation "cashmere"-from the West. Around 1850, European demand for luxury woolen-type fibers seems to have been met first of all by vicuña from South America; but as this grew scarce and expensive, cashmere was increasingly used as a substitute, finally superseding vicuña completely. From as early as the 1860s commercial supplies were sourced from Mongolia rather than Tibet. Earlier it was only in the tracts convenient to Kashmir-that is southeastern Ladakh and western Tibet-that large-scale production actually took place, the amount reaching Kashmir annually in the 1820s being estimated at between 120,000 and 240,000 pounds. Expanding demand from the West through the twentieth century led to increased production, as nomadic herdspeople all over the potential pashmproducing area increased the proportion of goats in relation to sheep among their flocks. In the twenty-first century, total world production is in the region of 14,000 tons, the bulk of it from China (Tibet) and Mongolia. Western companies have developed mechanical means of processing the fiber, even the finicky process of de-hairing (though in the twenty-first century almost all the Chinese and Mongolian pashm is exported already dehaired). They process it into both woven fabrics and yarn suitable for knitwear. The so-called "pashminas" that became so fashionable in the West in the 1990s were originally woven in Nepal from a mixture of pashm and silk. They are now also being produced in many different qualities in various centers in India and the term is frequently misapplied by retailers in the West to similar-looking fringed shawls woven from fine sheep's wools. See also Fur; India: Clothing and Adornment; Shawls. Ahmed, Monisha. Living Fabric, Weaving Among the Nomads of Ladakh Himalaya. Bangkok: Orchid Press, 2002. Ames, Frank. The Kashmir Shawl and Its French Influence. Wood-bridge, U.K.: The Antiques Collectors, 1986. Beardsley, Grace. "Piecing in Twill Tapestry Shawls of Persia and Kashmir." In Textiles as Primary Sources: Proceedings of the First Symposium of the Textile Society of America. St. Paul, Minn.: The Textile Society of America, 1988. Goldstein, Melvyn C., and Cynthia M. Beall. Nomads of Western Tibet: The Survival of a Way of Life. Hong Kong: Odyssey Productions, 1990. Harrison, E. P. Scottish Estate Tweeds. Elgin, Scotland: Johnstons of Elgin, 1995. IFAW and Wildlife Trust of India. Wrap Up the Trade: An International Campaign to Save the Tibetan Antelope. New Delhi, 2001. Chiru Factsheet. Previously available from http://www.earthisland.org/tpp/chirufacts.htm.